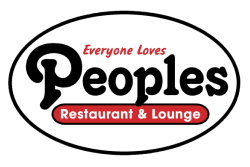 Enter your information below for a chance to win a romantic night at the Omni including a dinner for two at Peoples Restaurant! Yes No Now I do. Please send me more information! Winner will be chosen on 10/1/18. Consumer Disclosure: No purchase necessary. Ends 9//30/18. Must be 18 or older, a resident of US and reside within Nueces County. Prize is a one night stay at the Corpus Christ Omni hotel and a dinner for two at Peoples Restaurant and Lounge. Odds of winning are dependent upon the number of eligible entries received. One entry per couple. There is no cash value in the prize.